Over the past year I have found myself spending a lot more time on the road for work. Things have been busy and these days I enjoy all business opportunities I get. While in the car I have been completely turned off by terrestrial radio and all the political blowhards on both sides of the fence stirring the pot for their own self interests. I have come across some ways to get some of my fly fishing fix with a few different podcasts during the week. Probably the most prolific interviewer of fly fishing notables is Roger Maves. 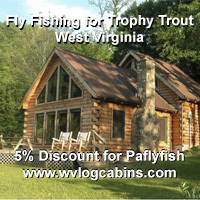 Roger's podcast "Ask About Fly Fishing" is an Internet radio show that he has been doing since about 2006. Roger has some really great interviews with some wonderful folks in the industry almost twice every month. What I like most is hearing from a wide range of freshwater anglers, saltwater enthusiasts, biologists, fly tiers, writers, guides and photographers. With with over 130 interviews that include the likes of Eric Stroup, Gary Borger, Joe Humphreys, Jim Klug and plenty more you would enjoy. The interviews provide some in-depth and current takes on what is trending in the industry. Roger offers the radio program online and to download for your MP3 player at his website here. 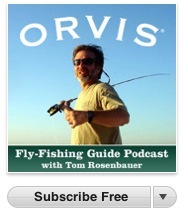 More recently I have added "The Orvis Fly Fishing Guide Podcast" hosted by Tom Rosenbauer to my iPod. 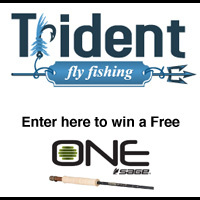 Tom is currently the Marketing Director for Orvis Rod and Tackle and has been broadcasting the show since 2008. Almost every week Tom covers a topic that informs and educates beginners and experts alike. 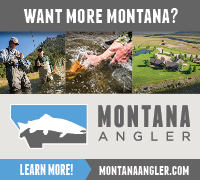 Tom's conversation cover a range of topics like setting the hook, fall fly fishing, tippet tips, steps for getting kids into fly fishing and so much more. The Orvis Fly Fishing Guide Podcast can found on the Internet here or on iTunes. Download some of these podcasts on you iPod or smartphone before your next road trip and enjoy some quality time on the road! Great stuff, listen to them as soon as they come. The one on trout food is a must listen IMHO. Testing ability to make post/comment on main page 8:24 AM Tuesday. I love the pod-casts by Tom Rosenbauer! super useful and informative. when I'm on the mower I always listen to an orvis podcast. the Itinerant Angler podcasts are good as well. Thanks for the nice words on the podcast. We enjoy doing them and it's really heartwarming to hear about people who learn from them.